Guy Ritchie is known for refusing to play by the rules of the genres he plays with, as clearly seen in his filmography. The Man from U.N.C.L.E. is no exception. Ritchie manages to craft a sleek and stylish, if sometimes jarring, revival of a beloved 1960s TV show. Though his ideas don’t always work in their execution, the man deserves some praise for trying to be just a little too cool for film school, and injecting some pop back into our grim spy film landscape. Like the landmark television series, The Man from U.N.C.L.E. explores the high concept premise of the United States and the Soviet Union putting aside certain differences, during the height of the Cold War, to create a unified intelligence agency that will counter global threats. 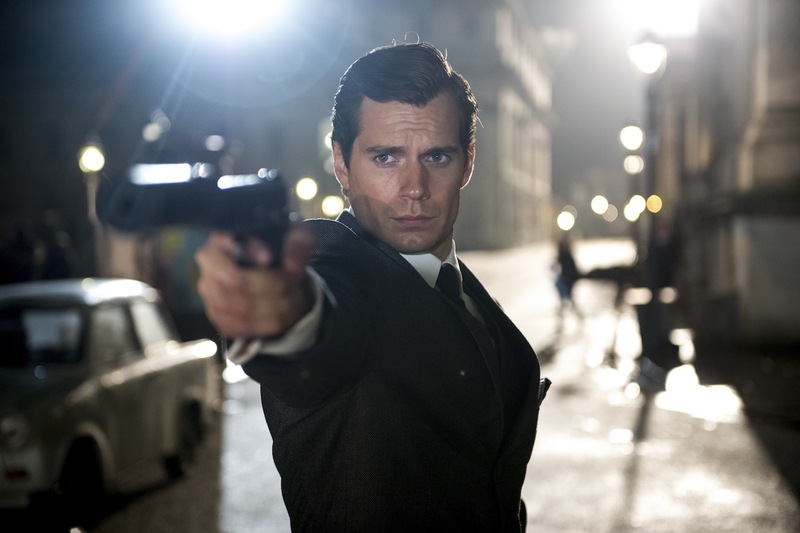 The CIA’s finest, Napoleon Solo (Henry Cavill), must join forces with top KGB operative, Illya Kuryakin (Armie Hammer), to stop a mysterious criminal organization hell-bent on nuclear annihilation. Their only lead is Gaby Teller (Alicia Vikander), the daughter of a missing German scientist. The retrospective film works best when it embraces the stylish spirit of the 1960s, especially the influence of that decade’s spy game genre. It has fun with a bit of kitsch, but never going full-blown camp, keeping one foot in reality. Such is the style of director Guy Ritchie. One of the more remarkable things about the film is how it manages to address problems levied at most blockbusters nowadays, especially superhero films. Instead of having characters spew word vomit in a solitary shot during exposition, Ritchie comes up with creative ways of doing those sequences. He injects them with humor but still gets the message across. Another example is how the film and its plot aren’t completely overbearing when it comes to its identity and purpose as an origin story. Instead of dragging us through the construction of the characters’ psyche piece-by-piece, the film simply goes through the motions and lets us be. It doesn’t continuously remind us of the fact, which is refreshing. DON’T MISS: Holy Sh*t The Smaller and Smaller Circles Movie is a Thing! The cast more than made up for that, thankfully. Their chemistry was natural and effortless. Henry Cavill is perfectly cast as the smooth and debonair Napoleon Solo. Though he struggled with the incredibly artificial accent at times, he managed to pull it off. Armie Hammer delivers a serviceable, if cartoonish, Russian accent in his Illya Kuryakin. The American actor did well in portraying Illya’s intricate body language, even it was a little too on the nose. Hugh Grant answers the question, “What if Hugh Grant became a spy chief?” Alicia Vikander and Elizabeth Debicki round out the cast as the excellent female leads, outshining the boys. Though it tries too hard at times, The Man from U.N.C.L.E. mostly succeeds in its too cool for school attitude. Its dynamic cast and palpable 1960s energy manage to deliver a stylish origin story. By the end of the film, I was certainly left wanting more. Is Black Widow Going for the Shorter Hair in Captain America: Civil War?